Hi everyone! How are y'all doing? Yes, I'm still here!! Sorry for not being an active blogger the past few weeks. Since we are heading towards school holiday, I was also busy attending to the kids and their respective parent-teacher meetings. I may not be making cards BUT I was busy altering boxes! 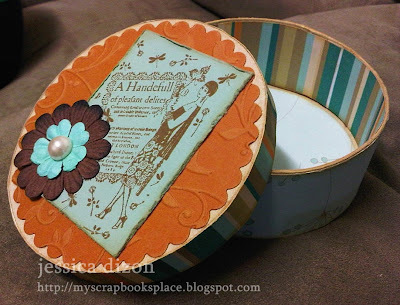 I used my Heidi Grace designer paper pack for this project which has been left untouched for more than 2 years now. Imagine?! I really liked how it turned out with its vintage/shabby chic feel. Will post more of the deets later and will also post the other box that I altered. Thanks for the visit and have a blessed Tuesday!